News broke this week that a new online regulator will fine web companies that fail to protect users, and possibly block offending websites being accessed under new UK government plans….. Under the proposed plans, companies that run social media platforms, file hosting sites, discussion forums, messaging service and search engines will become responsible for any harmful material which their users are allowed to share or discover. I am not entirely sure how the UK Government proposes to police this under the new plans, because let’s be honest, social media can be like the “Wild West” at times, but I will be following this one very closely. 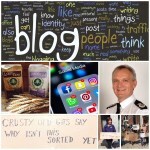 The article however has given me an opportunity to discuss social media here on the Isle of Man, especially in my current role as an MHK in which you are open to a significant amount of criticism at times. From the outset, I should say that there is a clear difference between criticism, challenge and lies. Personally, I continue to embrace social media as a way of engaging with Constituents or to share my own views on a particular political topic, but more importantly to listen to views and to gauge public opinion on the decisions being made by individual Departments or collectively in Tynwald or the House of Keys. As an MHK I expect to be challenged and criticised for the decisions taken from time to time, and it is my job as an MHK to respond to that criticism or the questions being asked, along with trying to explain how a particular decision was made. In respect of the Manx public, they are certainly entitled to ask any MHK fair and reasonable questions on any topic, and as the elected Members of the House of Keys we have an overriding duty to answer those questions wherever possible. However, as an MHK I try not to engage or answer questions, even polite ones, that are being tabled by “fake accounts” or “internet trolls”…. If you have a legitimate concern or question, then I don’t see why you have to hide your name. The one part of social media I certainly cannot accept is when people post nothing short of barefaced lies for reasons or motives that only the original poster really understands…. Personally, I have been criticised by families and friends many times for challenging these sorts of posts, especially on Manx Forums, which is a site I have genuinely enjoyed engaging with since around 2011. Some people say I shouldn’t bite, but other people say I should have an absolute right to challenge those types of comments and statements that are simply untrue. Anyway, there is an excellent short BBC video, which is only three minutes long, entitled “Social Media & Twitter Abuse in Politics” – it is definitely well worth watching…..
As for this week’s activities, I finally caught up with any outstanding emails on Monday morning, and again I offer my sincere apologies for any delay in responding to Constituents over the past couple of weeks. I then started to go through the agenda pack for the Select Committee on Accommodation for Vulnerable Young People before heading down to the Committee room for a Pre-Meeting that started at 10.30am. At 11am the Committee took evidence from Christian Forbes, Managing Director of Fundamentum, which is an organisation that forges strong relationships with numerous Housing Associations, Local Authorities and Registered Providers across the UK, and as an Isle of Man Company it has successfully transacted on more than 100 properties, with 70 from within the supported Housing Sector. Back to the office at 13.00 to send a few emails before driving to Laxey to meet up with various people, including the Chief Minister, President of Tynwald and other guests for a formal tour of the Laxey Flour Mill. Chairman of the Board, Colin Kniveton led the site visit. A big thank you to Colin and the other Board Members and the staff at the Laxey Flour Mill for a wonderful tour. Laxey Flour Mills has been supplying the Isle of Man with highest quality flour since 1860, despite various financial setbacks over the years, along with three calamitous fires and the impact of two World Wars. Laxey Flour Mills is 100% owned by the Isle of Man Government. In the last few months, Laxey Flour Mills has acquired a new machine, which will certainly improve overall packaging of flour and the efficiency of the Mill. It is only when you walk around these local facilities that you appreciate the reasons why we should support local wherever possible. Once the tour concluded, it was straight to the office for 16.00, in order to catch up with a few things before heading home at 17.10, which gave Ellen and me an opportunity to head out for a walk before tea. Woke up Tuesday morning to the news that a man was found unresponsive behind the Sefton Hotel on Monday evening at around 19.00. Unfortunately, the police later confirmed that the man had died and they were asking people not to speculate at this time…. We are only a small community on the Isle of Man, so news such as this certainly raises speculation through social media. My thoughts are with his family and friends this week. On Tuesday morning Ellen and I were up early as we headed out for a quick walk just after 6am. It wasn’t a long walk, only around 2.4 miles but enough without being late into the office. In fact, I still managed to get in the office for 8am ahead of this month’s Tynwald sitting, which was definitely one of the shortest Order Papers I have seen for this administration. The first couple of hours were spent at my desk dealing with various things, along with a couple of Constituent issues relating to Housing, GP and the increase of School Bus Fares. At 10.20am I headed down to the Tynwald Chamber for today’s sitting, which started with 13 oral questions and 15 written questions. Undertaking trials of new technology in the Isle of Man Bus Services certainly generated a considerable amount of questions from Tynwald Members. There was a statement read out by the Policy and Reform Minister, Chris Thomas, MHK, in order to confirm that the Public Inquiry into the Eastern Area Plan will start on Monday 9th September. This was after several delays over the past 12 months. We managed to get through all remaining business by 15.30, which is definitely the earliest finish of this administration. It certainly wasn’t an early finish for me, as the last 90 minutes or so were spent in the office drafting several letters, along with correspondence to the Policy and Reform Minister, Chris Thomas in respect of the Eastern Area Plan. Once home I still needed to go through several reports ahead of a Public Accounts Committee (PAC) meeting on Wednesday, along with responding to three Constituent calls before finishing at 20.30. Although this month’s Tynwald sitting finished in less than a day, I was still in the office for 8am on Wednesday morning, in order to finish off my correspondence to the Policy and Reform Minister. I also needed to finish off going through the PAC agenda pack before walking over to DfE for the pre-meeting with the Minister. At 10am there was the Department meeting, which started with the usual updates with Agency Chairs etc before we obtained a telecoms update on our ongoing National Strategy. The DfE agenda paper was relatively light so we managed to finish just after 12 noon. From there we went straight up to the Barrool Suite for a presentation by the Chief Constable, Gary Roberts on the new “Police Early Action Team” (PEAT), which has replaced the Multi Agency Youth Justice Team that was disbanded in September 2018. PEAT will try to divert young people (up to 25 years) away from the criminal justice system through education and intervention work, which forms part of the Chief Constable’s prevention strategy. An excellent presentation, just a shame that I had to leave slightly early as I needed to review two urgent tourism papers. At 14.30 there was a Public Accounts Committee meeting, which discussed and reviewed a particular DHSC paper at length. I was back at my desk for 16.15, which gave me an opportunity to catch up with things before heading home at 17.15. I had nothing in my calendar on Thursday, so was in two minds as to whether I should go into the office or work on a few projects from home. I was still unable to email documents from BoardPad, so I took the opportunity to go into the office, and I am extremely grateful that Paul from GTS called into my office at 8.30am to fix the issue ahead of a Committee session on Friday. I guess the interesting part of this role is that there is always plenty to do, so I took full advantage of a quiet day to work on the Eastern Area Plan, along with preparing several template letters. Before I realised it, it was almost 14.00 and with the weather being so good this week I decided to walk home, which took around 45 minutes. Once home I started to prepare for the Environment and Infrastructure Policy Review Committee, which was being held on Friday morning. I finally finished at around 17.00. Friday was one of those non-stop days – I was in the office just after 8am in order to continue preparing for the Environment and Infrastructure Policy Review Committee later on in the morning. At around 8.50am my colleague on the Committee, Chris Robertshaw, MHK called into my office and asked if I would like to go into town for a quick coffee, which was very pleasant and it gave us an opportunity to catch up on a few things. At 9.30am we both headed into the Committee room for a pre-meeting of the Environment and Infrastructure Policy Committee, which is reviewing the Road Transport Regulations 2018, but more importantly the role and function currently being undertaken by the Road Transport Licensing Committee, which is an independent tribunal body of Government for the transport of passengers, along with goods vehicles. At 10.30am we took evidence from the Island Road Transport Association, both in public and in private. The evidence session finished at around 12.15 and after quickly putting my files and paperwork into the office, it was straight over to the DfE for the Extraordinary Department Workshop, which actually started at 11.30am…. The topic of discussion was proposals for Growing Our Social, Creative Economy Together, which was interesting. I walked back to the Tynwald Building to meet up with various children and parents protesting outside the Manx Parliament over climate change. Unfortunately, I only had a few minutes to spare, but I did enjoy the sign which read “Crusty Old Gits Say Why Isn’t This Sorted Yet!”…..
From there I went back to the office briefly to collect Ellen before walking to our advocates to sign some legal documents relating to our mortgage. It was at this moment that I heard that a very old friend, Arthur Firth (96 years young) had passed away…. Arthur lived for eight ball pool and he definitely was one of the cornerstones for helping me run the Douglas pool and darts leagues between 1999 and 2009. Just before 14.00 I drove into Onchan for a Constituent meeting, which is a regular get together to discuss a particular planning application. Straight after that meeting it was up to Manx Radio to do a few interviews relating to my questions in the House of Keys next week. Finally got back to the office just after 16.00, in order to catch up with emails and any missed phone calls before heading home at 17.10. Nothing scheduled for the weekend, but I still have a lot of ongoing projects and time is running out.